Blogpodium tickets went on sale. How I would love to attend again! Want to know why I started blogging? I was interviewed by Shannon at AKA Design. You can read my interview here on her blog! 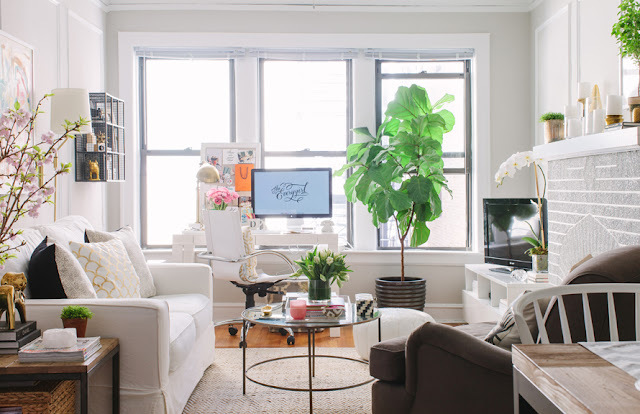 And last week I simply adored every square inch of Danielle Moss' apartment tour on Everygirl. Sigh....to be in my late 20's again and living in a chic apartment in a metropolitan center. Congratulations on getting a Target! How exciting.....hope you are not moving far? Hello Barbara! Our Tarjay opened up here on the Island this week so I just had to go! Did you like it? I got some good deals!! Now I have to go read your interview over at AKA Design and I want to see that apartment tour too!! Thank goodness that Target arrived...it's about an hour's drive for us, but completely worth it! (been 3 times in about a month) ...good luck with everything on your plate! Hello Target! I'm happy for you on that one. TGIF, and I'm off to check on that tour. My selfishness doesn't want you to move!!! But of course, I wish you and your fam the best! 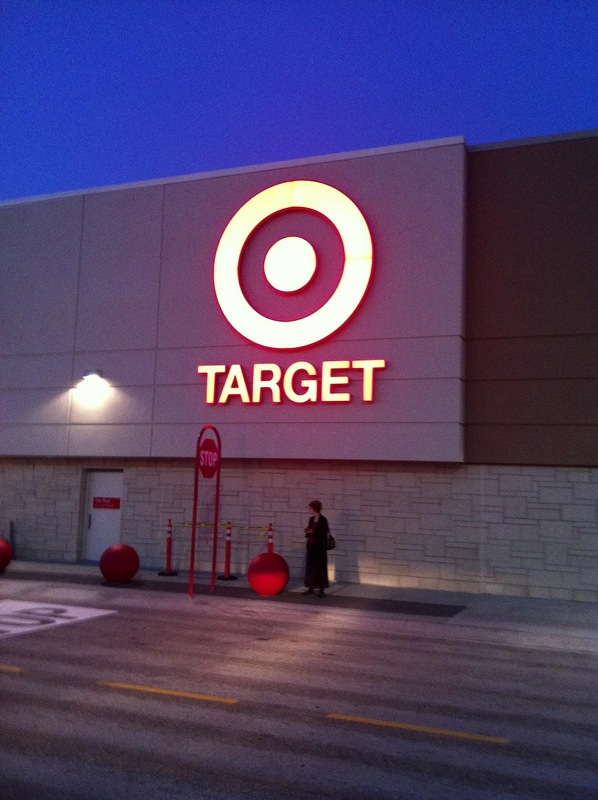 I went to Target on opening day in the afternoon and was already surprise how empty the shelves were....Yes, we Canadians are shopping deprived! Can't wait to go back when things are restocked. Yah for Target, I was super impressed! I love that apartment, yes oh to be young again :) Have a great weekend Barb! So with you on the sigh! Wouldn't it be fun to go back? Good luck with hubby's interviews and the life-changing possibilities that lie ahead! Every move is life-changing in one way or another, and for you just think, a whole new canvas to work with! Fun!! Fabulous weather was so dreamy! Loved it! We had such a good Mothers Day and I hope yours was every bit as family saturated! As we couldn't, (or wouldn't) walk around Cultus Lake we hit Target in between scrumptious meals! ...and the shelves where still bare! Thinking of you and your family as you embark on these new adventures!